Ballet Royale does not limit its offerings to traditional ballet students. We offer classes that are open to teens and adults of every level of experience. 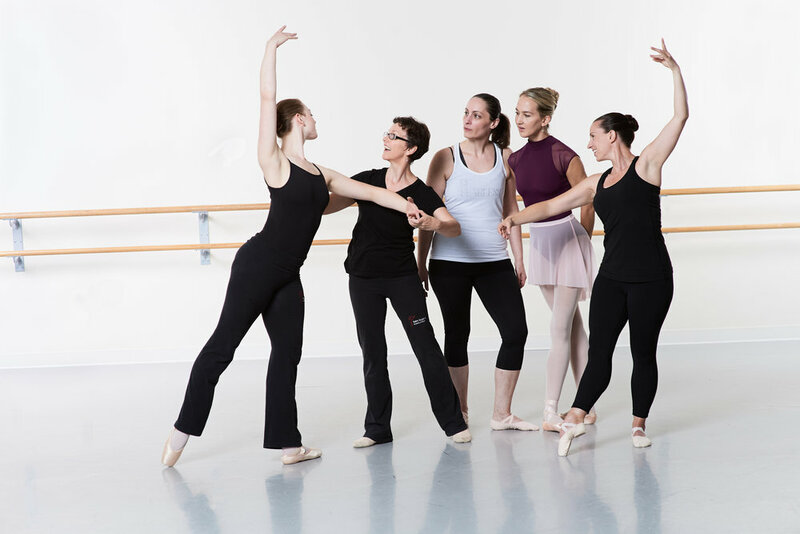 Adult Beginner and Advanced Beginner classes are designed for teens and adults with no or very limited previous ballet or Modern experience, and vary between 1 hour and 1.5 hours long. Adult Open Ballet classes are 1.5 hours long, and geared toward the intermediate level teen or adult dancer with some prior ballet experience on a flexible, balanced level. These classes are ideal for teens who starting training later than traditional students, adults who danced when younger and wish to again enjoy the benefits and joy of ballet, or even professionals or teachers looking for extra classes. Recognizing that some teens and adults often require more flexible training options, we offer alternative scheduling and payment through our Open Enrollment program. This provides those who love to dance but are committed to various other obligations a customized plan to meet individual needs. Winter/Spring Semester 2019 begins January 3 and runs until May 17. For mornings and more advanced class schedules please contact the studio.